TygerClaw LCD3406BLK give your TV the perfect spot in the wall with this Fixed Wall Mount. This mount is constructed with cold steel material to maximize the durability and support. This mount was built to give options for TV from 60 in. to 100 in. with weighing up to 220 lb. and also an innovative locking mechanism gives quick and easy installation. This mount is the best solution for mounting TV on the wall without any hesitation. Holds most 60 in. to 100 in. flat panel TV up to 220 lb. 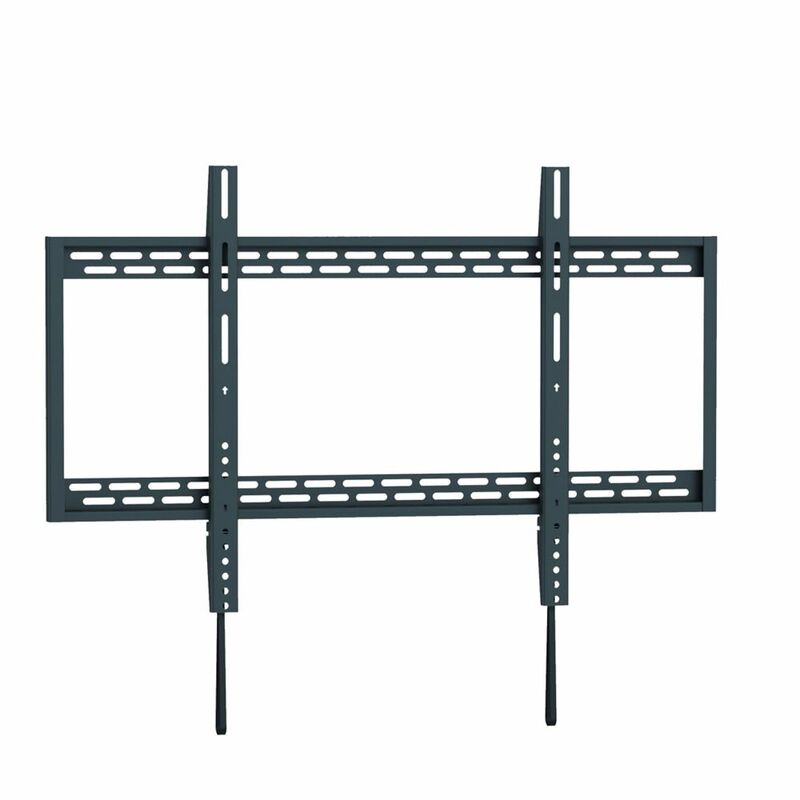 TLX-220FM - Stanley Articulating TV Mount 37-65" Designed and constructed to easily install and safely and securely mount the bulk of TVs in the market today. Designed of high quality steel it features many built in adjustments. Ability to handle 37 - 65 TVs and 100 lbs of weight. Full motion mounts offer the user the ability to optimize their viewing experience simply and easily. Simple installation and operation provide maximum enjoyment. Products feature slim profiles and the ability to extend up to 23 from the wall. Premium interactive model offers a full motion capability on multiple axis; tilt, extension, swivel, level, vertical travel Full Motion TV Mount for Large Screens.Features:Fits most TVs 37-65-15 ~+15tilt90 swivel -5~ +5 level adjustmentMounting profile: 2.2 to 19 inchesWeight capable up to 100 lbs. TLS-200S - Stanley Fixed TV Mount for 40-65" TVs Designed and built for today's larger screens while providing a low profile and easy to release secure solution. Features several state of the art safety, security and adjustment features. High performance and an affordable price. Made of high quality steel for ultimate rigidity. Ability to handle 40-65 TVs and 100 lbs of weight. Fixed mounts offer the user a quick and affordable solution for mounting their TV. Our fixed mounts include simple installation and easy to follow instructions to get the job done. Products feature slim profiles Slim Design Static Wall Mount for Large Screens. Features: Fits for most 40''-65 flat panel TVs Super Low profile of .9 Support flat panel TVs up to 110/100 lbs Click and Release Safety ensures that the unit does not shift. Features, drywall, wood stud and concrete mount hardware. Integrated Kickstands Post Mount Level capabilities. Fixed Wall Mount for 60 inch to 100 inch Flat Panel TV (LCD3406BLK) TygerClaw LCD3406BLK give your TV the perfect spot in the wall with this Fixed Wall Mount. This mount is constructed with cold steel material to maximize the durability and support. This mount was built to give options for TV from 60 in. to 100 in. with weighing up to 220 lb. and also an innovative locking mechanism gives quick and easy installation. This mount is the best solution for mounting TV on the wall without any hesitation.